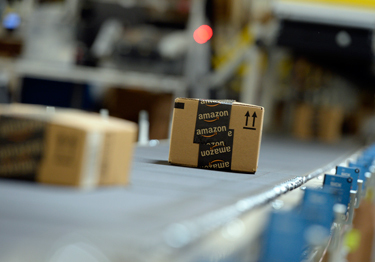 When it comes to online shopping, Amazon is king. But for some items, shopping at the e-commerce site can cost you money. WASHINGTON — When it comes to online shopping, Amazon is king. But for some items, shopping at the e-commerce site can cost you money. The best items to buy on Amazon.com are what one might expect: digital downloads such as e-books, items under $10 and bulk items such as diapers. But when it comes to pricier purchases, shoppers could lose money if they don’t shop around, says MarketWatch reporter Catey Hill — especially if the items cost more than $100. “In that case you have about a 70 percent chance of finding that item for less at another online store,” Hill says. Amazon is making money on the same items consumers should avoid buying from the e-commerce giant: electronics and cameras. Amazon saw a 23 percent spike in sales during the last year on electronics and cameras, Hill says. “That’s where you also find the hugest, deepest, hundreds-of-dollars difference between Amazon’s price and the price for another store online,” Hill says. As smartphones continue to stifle the camera market, photography deals can often be found at brick-and-mortar stores, or their online equivalents such as BestBuy.com and Walmart.com. And don’t rule out the local shops either. “They’re often really trying to attract consumers with the lowest prices. You’ll often find deals on sites other than Amazon,” Hill says. Price Blink is a browser add-on that alerts the shopper when they’re about to buy an item that’s priced lower elsewhere online. PriceGrabber.com also has an app and easy-to-search categories to find what you’re looking and compare quickly. Savings.com has an app called Price Jump, which actually compares Amazon.com prices to other prices.